Blazers are a key element in my fall wardrobe since they are extremely versatile and make it easy to put together a polished look. It has become a staple in my wardrobe that can be worn to the office with a pencil skirt, pants or a shift dress, and on the weekends with a fitted tee and jeans. Since I work at a law firm, I rely on blazers for a professional image that still allows me to show off my personal style. With hundreds of styles on the market, I did a little research so I could share shopping tips to help guide you in determining which blazer is the perfect one for you. Before selecting the right style, keep in mind where you are going to wear it – is it strictly for the office, going to a party, date night or running errands on the weekend? Go with a classic single-breasted blazer in a neutral color when you want your blazer to serve many purposes. Consider a more fun color or print when you want to take your look from day to evening. Remember, blazers can be paired with trousers, skirts, and dresses, so make a mental note of what you already have in your closet to determine which style goes with what. 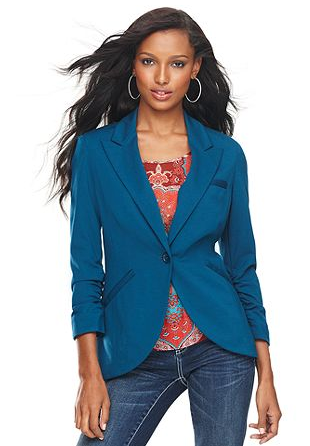 Blazers are available in a variety of fabrics such as cotton, silk, polyester, wool, knits, and blended materials. Keep in mind which fabrics are easiest to maintain. For example, a cotton blazer can be machine washed while wool or silk blazers will need to be dry-cleaned. 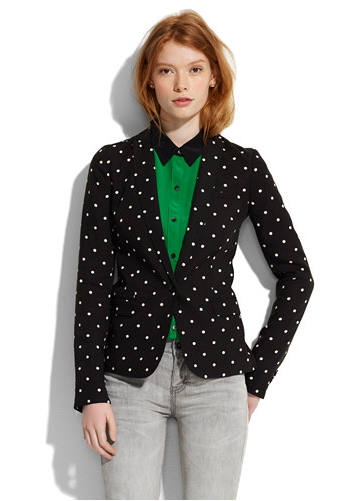 Also, blazers in high quality fabric can keep the ‘same-as-new look’ for years. Check the stitching and other details to determine whether it is good quality and worth the price. Blazers should have a snug fit without being too tight or loose at the shoulders. A curved seam at the torso often provides a better fit. Some blazers have a slit at the back for more comfort. Remember to try it on with a shirt underneath to determine if you are able to button it. Don’t be afraid to go up a size or to have it professionally altered to get the perfect fit that flatters your shape. Now that we have covered how to shop for your next blazer, check out my favorite far-from-ordinary blazers that will instantly update your wardrobe. 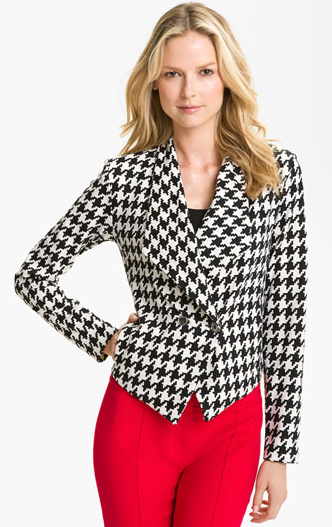 This entry was posted in Fall, Fashion, Shopping, Staci Rutherford and tagged blazers, Columbia, columbia sc, every woman blog, Fall, Fall fashion, Famously Hot, Fashion, hospital blog, Lexington, lexington medical center., lexington sc, Lexington Women, lmc, LMC every woman blogger, Midlands, Midlands Women, South Carolina, South Carolina Women, staci rutherford, Women, women's blog, women's hospital blog by Kate Gillmer. Bookmark the permalink.